I love being different and finding unique pieces of clothing and I’ve recently discovered and branched out to this awesome company that has unique items for the home, UncommonGoods. I love how each item is carefully categorized and has a story about the artist. I know when I’m trying to find the perfect gift for my friends and family, I search forever for that just right gift for people that mean a lot to me. I don’t just want to get something that everybody else has, so UncommonGoods is the perfect destination for something different and it is a huge timesaver. Many of the items can be personalized which add that extra special touch. Is it bad that I also want to buy myself all the gifts?! 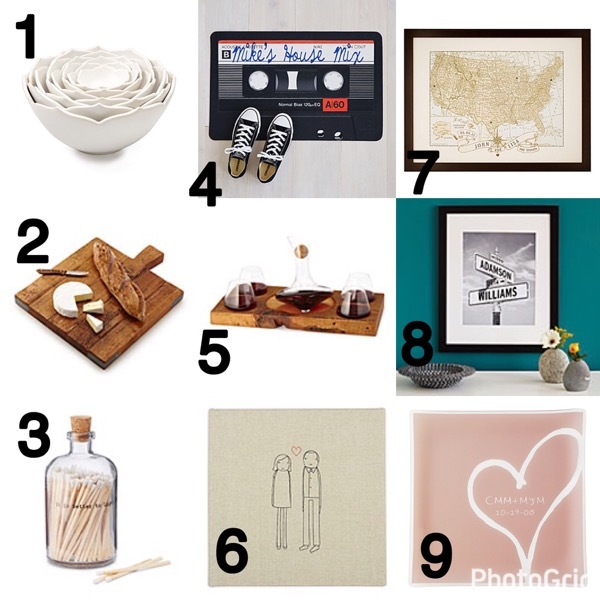 These are my top nine items that I’m obsessed with! I feel like every time I go on the website I find more and more cute things. I wonder what I will find next. *Thank you UncommonGoods for collaborating with me on this post. As usual, all opinions are my own.